Posted 2 August 2018 under Ask Us. How you communicate in relationships is important, and can be difficult, especially when they are new. If your boyfriend is sending you pictures or images that make you upset or is pressuring you to do or send things that you are uncomfortable with, you need to be clear and let him know. Explain to him that you do not want to receive the kinds of images he sent, and that you also don’t feel comfortable sending him those kinds of images. If you or your boyfriend is under the age of 18, you may also want to mention that sending and receiving naked photos (sexting) is actually illegal in some states. If you feel that he doesn’t understand your asexuality, you may want to discuss that with him as well (even if you already have), to make sure that you both understand what you want and don’t want out of your relationship. This includes how you treat each other emotionally and physically (holding hands, kissing, touching, etc.). It is important that you feel safe and respected in your relationship, and that your boyfriend understands your concerns and honors your wishes. 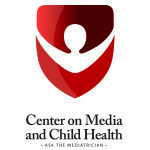 If you have other questions about media and technology, Ask the Mediatrician.